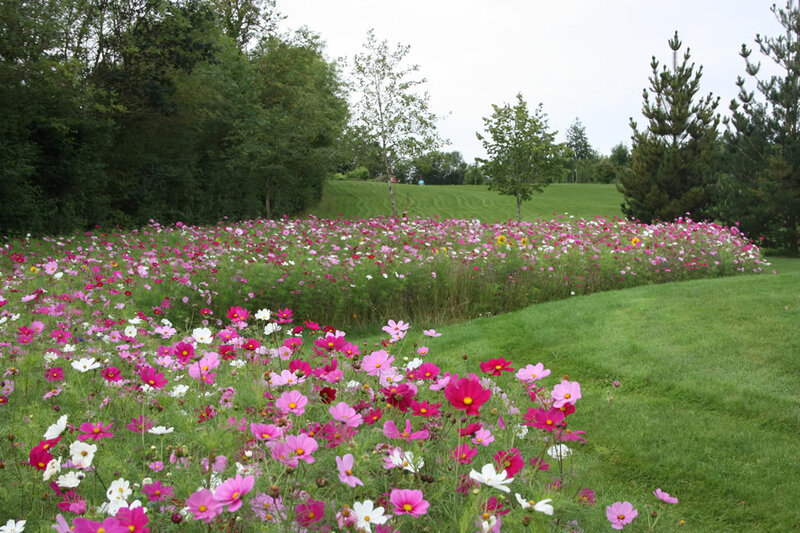 We have stokced the amenity flower mixtures for several seasons now and it has established itself as a very popular product with the general public, commercial contractors & councils. The Colour Splash mixtures are being used on many different sites in the UK to the delight of everyone. Only flowers (no forages or grass). Very easy to sow - optimum sowing season = Spring. Vigorous plants, capable of competing with weeds. Fast flowering and as long-lasting as possible. Well balanced & successional flowering. Robust plants, capable of resisting a reasonable period of drought. Ideal source of pollen for bees, butterflies & other pollinating insects. Ideal for private gardens, commercial use, sports grounds, hospitals, schools etc. Call us today to discuss how Colour Splash can brighten up your day !